Ukraine was part of the Russian Empire by the nineteenth century, and later became a founding republic of the Soviet Union. Ukraine has a long coastline along the northern Black Sea and western Azov Sea where vineyards are favored by the moderating influence of the sea and soils that provide excellent conditions for wine grapes. Ancient Greek settlers planted the first vineyards when they arrived on this Black Sea coast in the seventh century BC. They settled villages on the Taman Peninsula from Anapa and the northern country, and across the straits to the Azov Sea and the Crimean Peninsula near Kerch. The area became a principal trade center for the Bosphorus region and wine was a major commodity. After successive tribal invasions that swept civilization from the area, Italian Venetian and Genoese traders developed the area in the 13th century for the trade route from the Black Sea to the Caspian Sea. Later the region became part of the Ottoman Empire until incorporated into the Russian empire. The Crimean Peninsula, which lies between the northern Black Sea and the Azov Sea was transferred from Russia to Ukraine in 1954 – an event that Russia has come to regret today. Most of Ukraine’s best wineries are located in Crimea. Massandra, Novy Svet, Inkerman, Koktebel and Magarach are the best known. Until recent years, sweet wines were heavily emphasized. In the nineteenth century however, the Russian market for champagne created incentives to try making sparkling wine along the Black Sea. Russia had become the largest foreign market for French Champagne. The Russian aristocracy preferred sweeter wines, and French winemakers responded with wines for the Goût Russe. These wines were very sweet, even by today’s generally sweet Russian tastes that favor wines from 2.5% to 6.5% sugar. The Russian official sweetness classification starts with brut with less than 1.5% sugar. 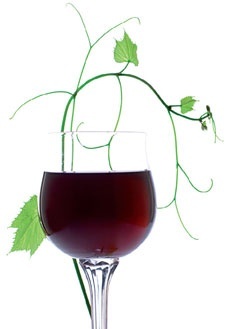 A dry wine has about 2% sugar, polsukhoye (half-dry) has 4%, polusladkoe (semi-sweet) has 6%, and sweet has 8% or more. Under the authority of Emperor Pavel I in 1799, the first sparkling wine was produced at his palace on the Crimean Peninsula at Sudak. 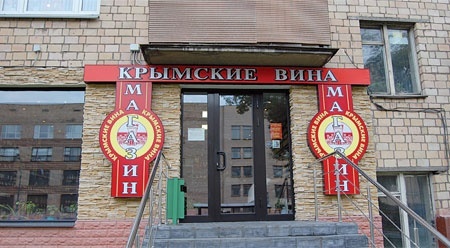 Within two decades, several companies made sparkling wines in Crimea and a State Winemakers’ Academy was started. One foreign businessman named Krich was exiled from Russia by an angry Emperor Nikolai I when it was learned he was labeling Crimean wines with the French Roederer label. Later, beginning about 1840, Prince Vorontsov produced sparkling wines in Crimea under the Ay-Danil label but all Crimean wine production ceased during the Crimean War (1854-1856). English and French invaders tore out vineyards, destroyed production equipment and a large laboratory, and extensive documentation about winemaking was lost. Vorontsov’s son started the construction of a château at Massandra in 1881, the area where the region’s most spectacular winery is located, but it was not completed until 1900. Late in the 19th century, Prince Golitsyn, the patriarch of modern Russian winemaking, restored the tradition of Russian sparkling winemaking when he founded Novy Svet winery near Sudak and helped develop the Abrau-Durso winery on Russia’s Black Sea coast near Novorossiysk. These are now two of the region’s most famous wineries and both continue to make sparkling wines by the classic French method. Golitsyn also took over production at Massandra. 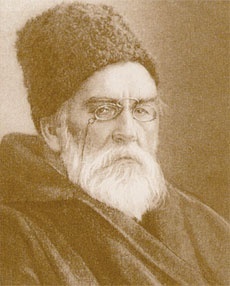 Prince Golitsyn began intensive experimentation with over 600 varieties of grapes near Novy Svet in 1878 and studied grape variety behavior in Black Sea coastal conditions. He finally settled on the French varietals of Pinot Franc, Pinot Gris, Aligote, and Chardonnay. Golitsyn started construction of the Novy Svet wine cellars and tunnels in a spectacular location at the foot of Koba-Kaya Mountain directly on the Black Sea in 1890. Golitsyn’s first experimental sparkling wine production using the méthode champenoise began at Novy Svet in 1892. In 1896, he served his wines at the coronation of Tsar Nicolas II and they received the Grand Prix medal in Paris in 1900. Though Novy Svet and Abrau Durso make some sparkling wines using classical methods, most Russian and Ukrainian sparkling wine is made by the reservoir system which is a less expensive method developed in the Soviet Union. With the reservoir method, the wine passes through a series of seven or eight tanks and a continuous supply of yeast and sugar is added to the base wine. This results in a sparkling wine that can be bottled after three or four weeks. Novy Svet Winery continues the tradition of classic sparkling wine production. Look for Novy Svet Brut or Novy Svet Half-Dry, or try the special wine first produced in 1995 on the 150th anniversary of Prince Golitsyn’s birth called Jubilee Dry. Massandra Winery (massandrawine.com) excels at sweet wines and has a huge cellar collection of wines that it sells as “collection” wines. The labels include red port, white port, Madeira, Tokay, Kagor with residual sugars up to 20%. Inkerman Winery (www.inkerman.ua) was founded in 1961 near Sevastopol and specializes in oak barrel aged still and fortified wines. Koktebel Winery (www.koktebel.ua) is located in eastern Crimea near Fedosiya. It makes fortified wines such as madiera and port, aged in old oak barrels in the open air. Count Vorontsov founded an estate, vineyards and winery at the site that would become Magarach Institute (www.magarach.com) near Yalta in 1828. Magarach would become the region’s leading wine research institution. Magarach produces dry and fortified wines. Artyomovsk Winery was founded in 1950 north of Crimea in the Donetsk region. It has a special microclimate of 26 underground hectares of abandoned alabaster mines to produce exclusive sparkling wines from still wines that are brought from the Crimea. change has been slow to come in Ukraine since 1992 and there are still no modern wineries of note. 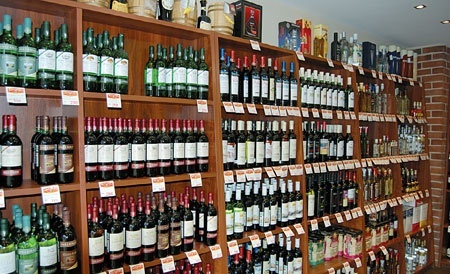 There are several Massandra Wine Shops in Moscow that carry a broad selection of Ukrainian wines from all of the Crimean wineries. Unfortunately, with few exceptions, these wines are perhaps worth a try only for “local color”. Crimea wineries have not yet extracted the great potential of the region that Princes Vorontsov and Golitsyn envisioned in the 19th century.